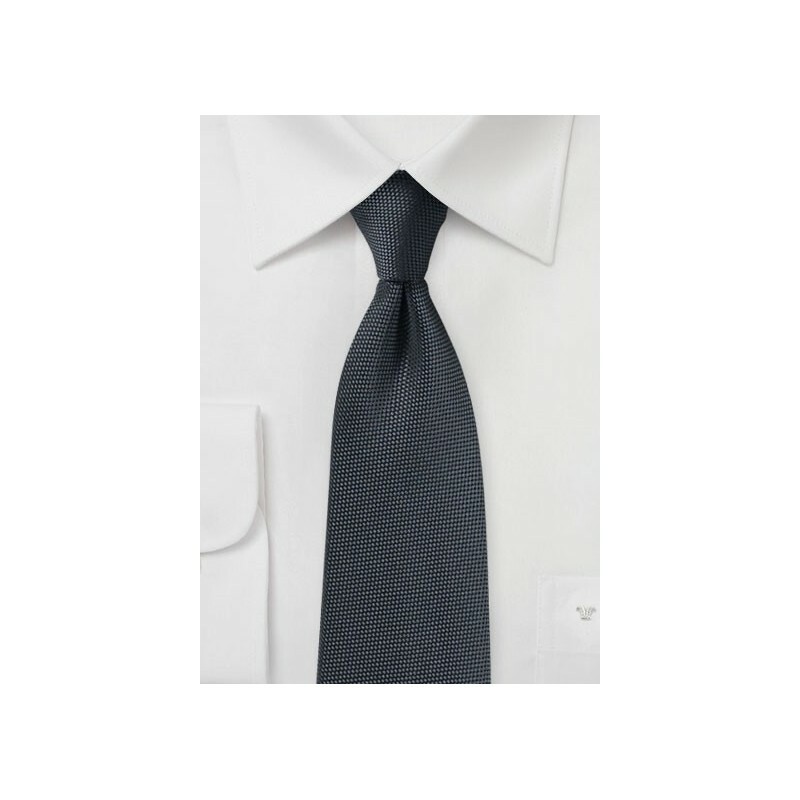 This classic and timeless charcoal gray tie features a matte woven fabric texture. 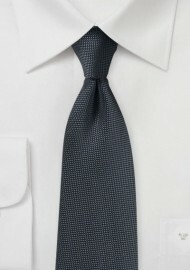 A great tie for solid, stripe, or checkered shirts in any shade of white, gray, black, or blue. Like the matte fabric texture? Then this microtexture collection by PUCCINI comes in 30+ colors as neckties, convenient pre-tied bow ties, as well as elegant matching pocket squares.